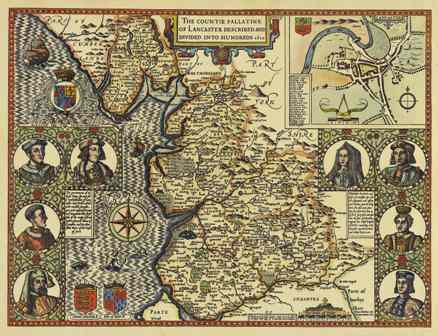 John Speed's Map of Lancashire 1610. Free download from Lancashire County Council. Click on a section to view it, and click on the picture to enlarge it.... right click to save the image to your computer.